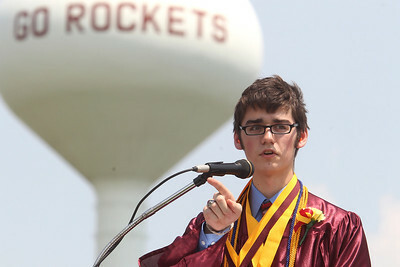 Mike Greene - mgreene@shawmedia.com Richmond-Burton Salutatorian Korbin West addresses his fellow students during graduation ceremonies for Richmond-Burton High School Sunday, May 20, 2012 in Richmond. 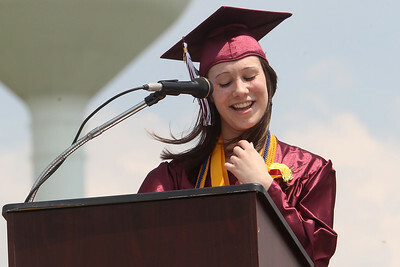 Mike Greene - mgreene@shawmedia.com Richmond-Burton Valedictorian Melanie Maurer laughs while giving a speech during graduation ceremonies for Richmond-Burton High School Sunday, May 20, 2012 in Richmond. Mike Greene - mgreene@shawmedia.com Richmond-Burton students line up to receive their diplomas during graduation ceremonies for Richmond-Burton High School Sunday, May 20, 2012 in Richmond. 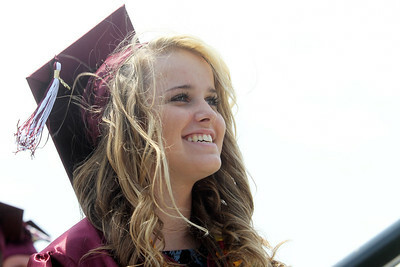 Mike Greene - mgreene@shawmedia.com Richmond-Burton student Tiffany Springsteen smiles while waiting to receive her diploma during graduation ceremonies for Richmond-Burton High School Sunday, May 20, 2012 in Richmond. 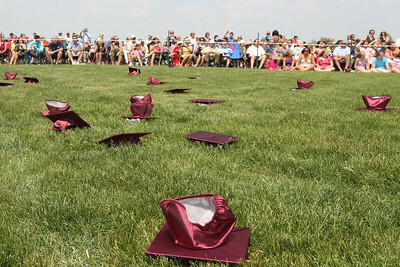 Mike Greene - mgreene@shawmedia.com Caps are scattered on the ground after being tossed by students during graduation ceremonies for Richmond-Burton High School Sunday, May 20, 2012 in Richmond. Mike Greene - mgreene@shawmedia.com Richmond-Burton students Elizabeth Kaht (left) and Tori Olker pose for a photo after graduation ceremonies for Richmond-Burton High School Sunday, May 20, 2012 in Richmond. Both Kaht and Olker competed in State Track and Field competitions over the weekend. 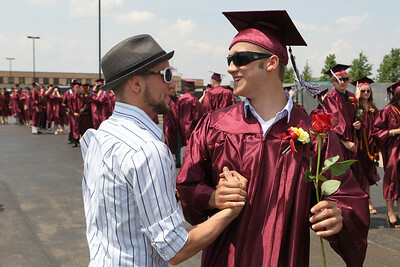 Mike Greene - mgreene@shawmedia.com Jeff Kukkla (left) greets Richmond-Burton student Alex Barth prior to the start of graduation ceremonies for Richmond-Burton High School Sunday, May 20, 2012 in Richmond. 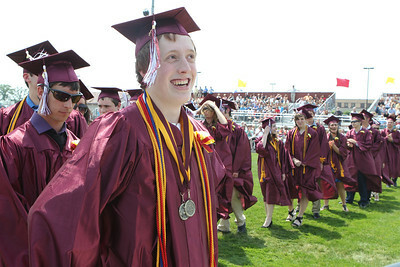 Mike Greene - mgreene@shawmedia.com Richmond-Burton student Brandon Puleo waits to receive his diploma after graduation ceremonies for Richmond-Burton High School Sunday, May 20, 2012 in Richmond. Mike Greene - mgreene@shawmedia.com Richmond-Burton student Zachary Jones bows his head during graduation ceremonies for Richmond-Burton High School Sunday, May 20, 2012 in Richmond. 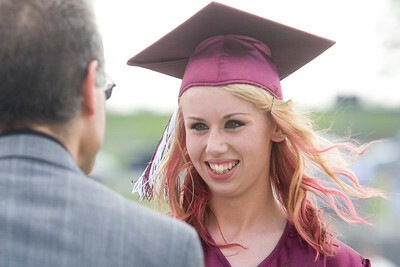 Mike Greene - mgreene@shawmedia.com Richmond-Burton student Ann Gatza smiles while receiving her diploma during graduation ceremonies for Richmond-Burton High School Sunday, May 20, 2012 in Richmond. Mike Greene - mgreene@shawmedia.com Richmond-Burton students Paige Meyers (left), Lydia Moore and Shannon McDonough chat prior to the start of graduation ceremonies for Richmond-Burton High School Sunday, May 20, 2012 in Richmond. 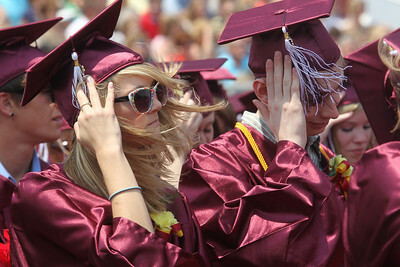 Mike Greene - mgreene@shawmedia.com Richmond-Burton students brace their caps from high winds during graduation ceremonies for Richmond-Burton High School Sunday, May 20, 2012 in Richmond. 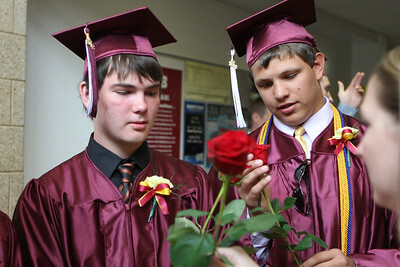 Mike Greene - mgreene@shawmedia.com Richmond-Burton student Jake Rymarz (left) receives a rose to give to his parents during graduation ceremonies for Richmond-Burton High School Sunday, May 20, 2012 in Richmond. 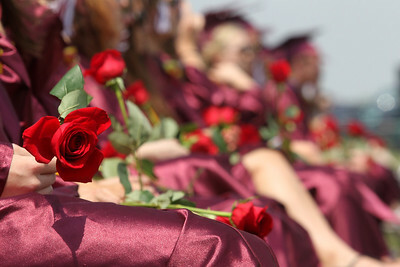 Mike Greene - mgreene@shawmedia.com Richmond-Burton students hold roses for giving to their parents during graduation ceremonies for Richmond-Burton High School Sunday, May 20, 2012 in Richmond. 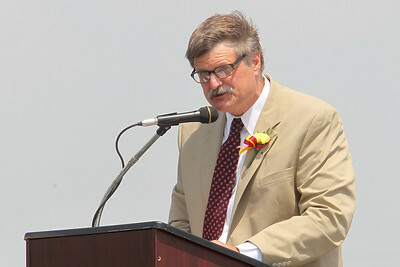 Mike Greene - mgreene@shawmedia.com Richmond-Burton principal Tom DuBois speaks during graduation ceremonies for Richmond-Burton High School Sunday, May 20, 2012 in Richmond. This was DuBois' final graduation before retiring. 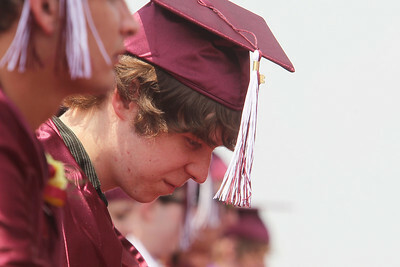 Richmond-Burton student Zachary Jones bows his head during graduation ceremonies for Richmond-Burton High School Sunday, May 20, 2012 in Richmond.